The Shadow Attorney General Kerenga Kua said the Prime Minister's promise to certain Provincial Governments to delegate to them more powers from the Central Government is illegal and unconstitutional under the current framework of our laws. The Prime Minister has no powers to make these promises. 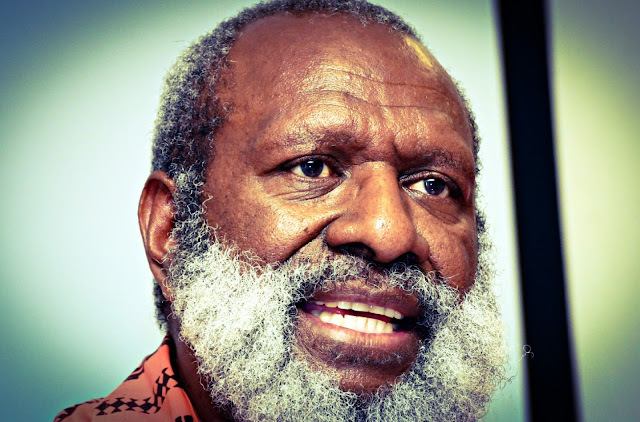 Everything he has said about decentralizing more powers to East New Britain, West New Britain, New Ireland and Enga Provinces is all hot air and cannot be done. There are three main reasons for this. Firstly, under our legal framework, the peoples powers is vested in the central government. Then the National Parliament can delegate some of these powers to the provincial and local level governments through an Organic Law. That has already been achieved through the existing Organic Law on Provincial and Local Level Governments. Only North Solomon Province is excluded from this regime. If anymore powers are to be delegated to the provincial governments starting with East New Britain, West New Britain, New Ireland and Enga, the Organic Law on Provincial and Local Level Government must be firstly amended. Secondly, if there are criteria and benchmarks to be achieved to quality for more decentralized powers then those benchmarks must be spelt out in an amended organic law. That will enable all provinces to have a fair and equal opportunity to make a bide for it. Right now no one has any idea on what those benchmarks are except what the Prime Minister dreams up. It is a legal principal that for a public policy to be applied it must firstly be published and be make known to all those it is to affect. The criteria must be published in the amended Organic Law. Thirdly, the Prime Minister cannot arbitrarily pick certain provinces to delegate more powers. That is discriminatory and unconstitutional. The Constitution requires all provinces to be treated with equal respect. If powers are to be given out incrementally and selectively then the benchmarks to be achieved by each province to qualify for selection must also be spelt out in the amended Organic Law. Until that part of the law is also reformed Prime Minister has no power to arbitrarily handpick provinces for preferential treatment. Without that all the promises by the Prime Minister is illegal and liable to Supreme Court challenges. Infact the Ombudsman Commission has the power to take out a Supreme Court Reference right now and I invite them to do so now. But then why govern through the Courts. The Prime Minister owes a duty of care to govern with care - not by making promises over which he has no power to deliver. Kua said "infact the Governors must not accept these misrepresentations and lies from the Prime Minister." The debate of centralized or decentralized powers and everything in between is so important to the nation that the Prime Minister must follow the laws and avoid making false and illegal promises.